What time zone does this calendar show? Can I resize the calendar or see multiple months at once? 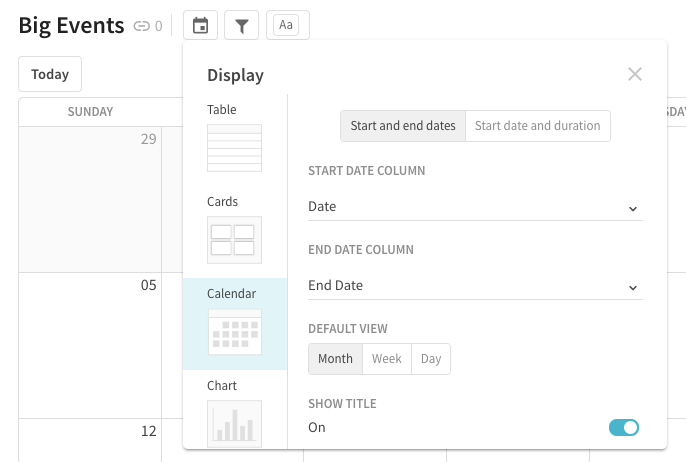 In addition to displaying tables in card or chart views, you can also choose to view Coda data as a calendar. Now you can easily visualize project plans and out of office schedules in an intuitive way. When you open the calendar menu, you'll see that there are two options for how the calendar deals with time. 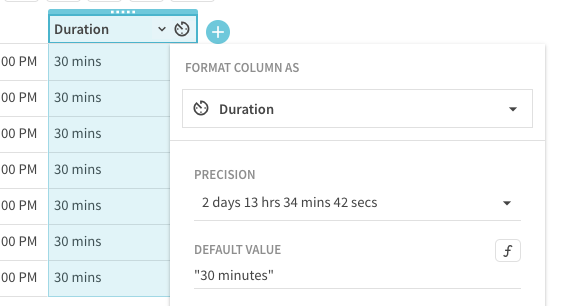 The first uses start and end dates and the second option uses a start date and duration just like you would with a gantt chart. If you want to move an event from one day to another, simply drag and drop it. Like other views in Coda, the row for that item will be updated too. If you're thinking about trips or other calendar items that might go for more than one day and have specific start and end times, just add a second Date and Time column instead of a duration column. Next, select to view the table as a calendar. The default layout is a monthly view, but you can toggle to weekly or daily views. This toggle will only be visible to you just like when you zoom in on a Coda chart. To change the duration of an event, simply drag the bottom of the event to make it bigger or smaller when you're in a weekly or daily view. You can also click on any event to edit it. Like other views in Coda, if you or a collaborator updates a row in the table view, the calendar view will reflect the new date or time too. To create a new calendar event, just double click on the date and a pop out will appear so you can add details. Simply click out of the window to see the event on your calendar. To delete an item off of your calendar, you can right click it in the calendar view and select "delete" or hit the triple dots in the pop out to delete it. Can I make a calendar show different colors for different people? Yes, you can do this by adding a column to your table with the owner and then adding conditional formatting to your table with a different color for each person. Coda currently supports Pacific Time in all charts, graphs, and calendars for now. Right now, the calendar view cannot be resized, and the view options include monthly, weekly, and daily.